Vehicle Leasing is becoming more and more popular every day, but why? 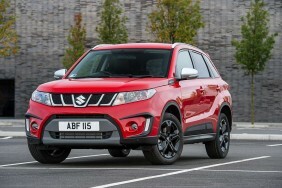 By taking into account the monthly cost of a vehicle via a lease as apposed to the large cash investment needed to purchase a new vehicle outright, motoring is becoming a lot more affordable. The monthly lease cost takes into account fully the resale value of the vehicle at the end of the lease so that you only pay the cost relating to the fall in value of the vehicle over the lease period. Often higher value more prestige vehicles retain their resale value better and so the lease rate is less than you might think. As people are becoming more familiar with mobile phone contracts, the need to own a vehicle is becoming less important. Leasing offers a convenient hassle free way to set a monthly cost for your motoring without the need to finance the full value of a new vehicle. So please take a look at some of our great offers and simple guide to see if personal leasing is right for you. 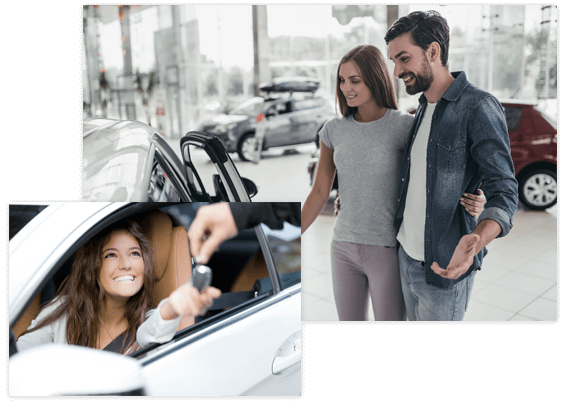 Leasing is a quick, easy way to get the vehicle you want to drive but without any headache about ownership or needing to sell it when you are ready for a new vehicle. Initially you need to set a mileage and term, think about what is best for you and how this may change over time. The Distance is the total mileage you will do over the period of the agreement in years. Leases will typically cater for up to 5 years and for mileages up to 150,000 in total. The important difference in a lease is that you do not own the car, the finance company does. In this case you simply hand the car back at the end and walk away free to do what you please or lease another new vehicle. Enables you to consider driving higher value prestige cars, due to the initial purchase discounts obtained and the higher anticipated resales value which will reduce the lease rate you pay. Access to significant vehicle discounts due to our finance companies acquiring over 100,000 vehicles every year. Enables you to drive a vehicle that you may not have been able to buy outright. Free nationwide delivery and Road tax (vehicle excise duty) is included for the duration of the agreement. Low initial rental, but you could make a larger initial payment to lower the subsequent payments. Fixed budget for every month, you can also include maintenance as well. No depreciation risk, your payments are fixed at the start. Flexible distance and duration to cater for your specific needs. Just hand the vehicle back at the end. No hidden charges, watch out for damage though as it must be returned in line with industry standards see BVRLA guide. Vehicle Is not subject to company car tax. A comprehensive maintenance, servicing and tyre package can be included in your agreement for a fixed monthly fee at point of order. Is Personal Leasing Right For Me? With personal leasing you have fixed payments for the duration of the agreement. This means you can plan your personal motoring budget. You can elect to include maintenance as well if you wish to fix your maintenance costs for the duration of the agreement. At the end of the agreement you simply hand the car back and can select your next new car. Ultimately the choice is yours and if you have any further questions feel free to get in touch and we will be pleased to help. Which name is on the trading agreement? As a personal lease it will be your name on the trading agreement and it will be your credit application that will be checked by the finance company, based on the address information you supply on the application. You set a distance and duration at the start of the lease but you may want to change this as the agreement progresses. Each specific finance company may have different rules on this, but we can advise you as part of the credit application process.